Your ego. The unfriendly fella that stops you from doing a lot of things that your heart wants to. Whether we realise it or not, we are in constant battle with it. And often we lose before even stepping into the ring. 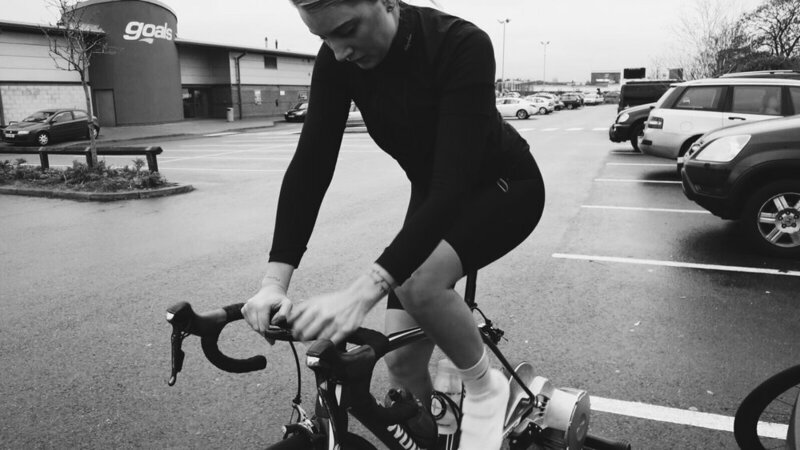 The loud voice of my heart made me sign up to the Hillingdon Winter Series. I felt stuck in my training and wanted to commit to something that gave me purpose, even if my ego was against the idea. If I waited, I would never race. Instead, I'd constantly be in a yo-yo cycle of enthusiasm and then self-doubt, hoping one day I’d wake up and be ready. That’s not how it works, kid. ‘Being ready’ is fictional. In taking action you find the truth. Signing up to your first race is split into two chapters. The pre-race and the race itself. I can confidently say, the former is the scary part of the story and where the ego is at its loudest. All those great feelings. Each one strong enough to stop you from arriving at the start line. Whether it’s a panic of embarrassing yourself or letting others down, the pre-race is cursed with the poison of ego. I was so fearful that I only told a handful of people I’d signed up. You beat the odds and arrive at race day. However, so does your ego. Scanning the ever glamorous car park of amateur sport, you’re convinced everyone is stronger than you and better prepared. The Sherlocks amongst us know no judgement can be made on such limited knowledge. But the ego hates Sherlocks because facts are less scary than the stories we make up ourselves. Thankfully I had my good friend (and now coach) Gem and my sister Lucy with me. First enemy of the ego - loved ones. They can speak words that silence the self-doubt. They can also apply leg rub and see you at your most vulnerable (in bib shorts and bra whilst shovelling down overnight oats) and not judge. Full focus. And focus is the second enemy of the ego. Each time I rode past Gem and Lucy (aka the ultimate cheerleaders), I felt a sense of connectedness that empowered each pedal. After one of the riders attacked, we formed a chase group that worked together to try and bridge the gap. A few hours ago, my best tactics were the ones I applied to food before I drank another gin. Here I found myself communicating with other riders, moving myself into the right position and attacking. After a few school boy errors on the sprint finish, I took 4th place. It had been an amazing 45 mins and I knew as I crossed the finish line (and nearly took out the boys race - I’ve still got a lot to learn) that 4th place was only half of the result. I’d also beaten my ego. A new challenge shouldn't be feared. Be scared of your ego. For not moving forward is what's truly frightening. If you can recognise your ego and not believe what it has to say, you’ll enter a new chapter of your life. One that is full of hidden rewards and worthy lessons. The race is what people focus on, but the event (and result) is only one part of the challenge. The decision, the commitment and the power to pin a number on is the true strength and the muscle that is hardest to train. The secret? Until there is an invention that silences our ego, the only medicine is to just f**king do it. Because the final enemy of the ego? A master that never listens to it.